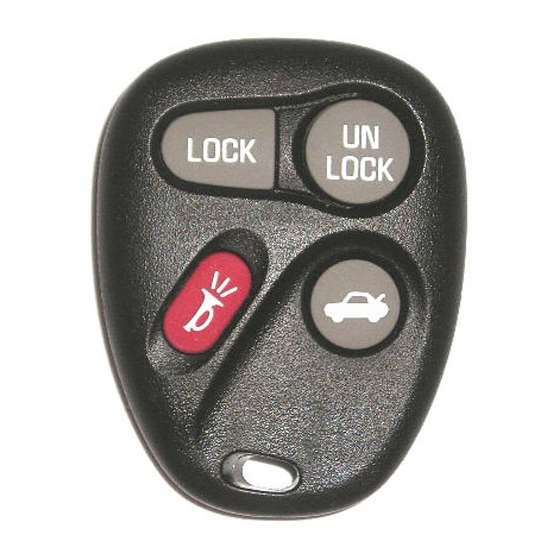 This keyless remote programming instructions work for 4B remote with part # 16245100, rear2x 16245104, trunk 16245100-29, 16207901-5, FCC id AB01502T on the back of it. 3. Cycle the ignition switch from the OFF position tot he RUN position (as far as you can go without cranking the engine) 3 times within 5 second ending in the RUN position. The vehicle will verify entry into the programming mode by locking then unlocking the door locks.